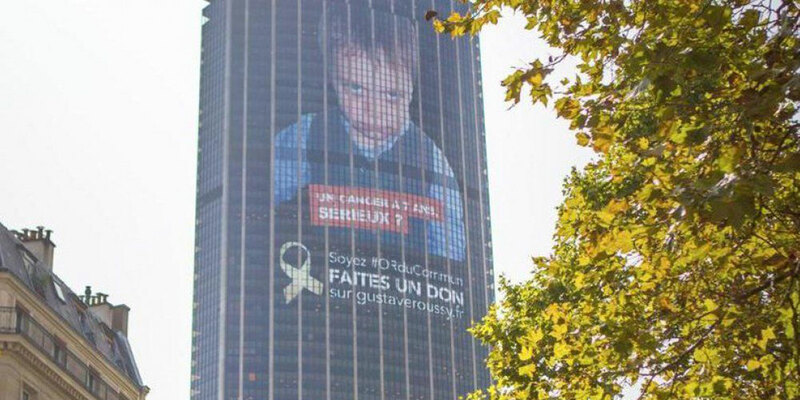 The Ensemble Immobilier Tour Maine-Montparnasse (EITMM) is throwing its weight behind the “Cure childhood cancer in the 21st century” campaign launched by the Fondation Gustave Roussy by displaying its message on the façade of the Tour Montparnasse throughout September. Five hundred children and teenagers in France and six thousand in Europe still die from cancer every year. Despite recent medical advances, cancer remains the leading cause of death by disease among children over the age of twelve months. 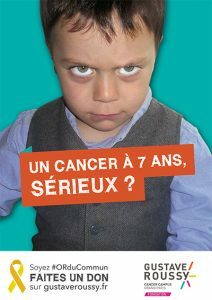 To coincide with Septembre en Or (“Golden September”), a month devoted to the fight against paediatric cancers, Gustave Roussy, which has pioneered the treatment of young cancer patients, decided to launch a major campaign equal to the challenges raised by this public health issue. The centre is calling on everyone to support the fight against childhood cancer and to be #ORduCommun. Called “Cure childhood cancer in the 21st century”, this major campaign aims to increase awareness of this cause and to raise €10 million by 2020 with a view to curing more children with cancer and providing them with more effective treatment. 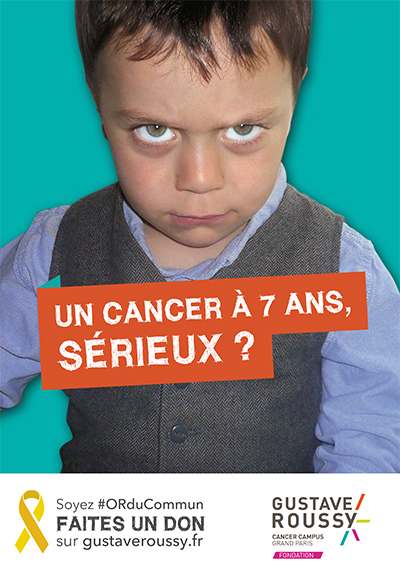 Using the language of children and teenagers, the campaign features a generic visual with the question: Un cancer à 7 ans, sérieux? (“A cancer at 7 years old – say again?”). Twenty-two floors of the Tour Montparnasse, the campaign’s standard bearer, will be covered in a 1,800 sq.m. wrap featuring the campaign’s message throughout September. At night, the tower will be lit in gold rather than the usual blue. The campaign’s committee is determined to beat the disease. The decision of Frédéric Lemon, chairman of LFPI REIM, to head the campaign was prompted by the death from cancer of his own son Noé, in 2014, now a symbol of hope in the search for a cure for future generations of children. The French commercial property developer, whose company has invested particularly heavily in the Tour Montparnasse, is joined on the campaign committee by Patrick Le Lay, chairman of French television network TF1 from 1988 to 2008, Edouard Carle, founder and co-chairman of Babilou crèches, and Sebastien Verdeaux, who set up Letus Private Office after 10 years at JP Morgan. *A play on the French words for gold (or) and extraordinary (hors du commun). To learn more about the Fondation Gustave Roussy’s campaign, see the press release and campaign website www.guerirlecancerdelenfant.fr.